The NBPU TIS is now fully staffed with our final vacancy being filled the other day. I would like to introduce our newly appointed Liaison Officer, Allan Miller who commenced work with us on Tuesday. Allan was born and raised in Alice Springs and is an Arrente person from Central Australia. He has more than twenty yearsâ€™ experience in Federal and State Governments managing projects related to Employment and Training, Housing, Health and Ageing, Business and Economic Development in regional and metropolitan South Australia and more recently in the Northern Territory. 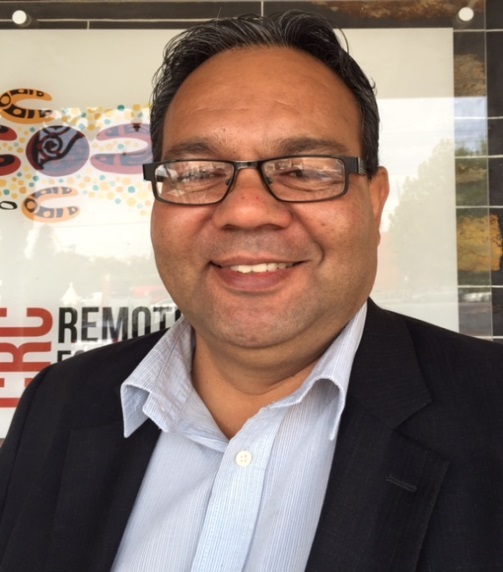 Allan has an wide-ranging network of contacts as well as a knowledge base of project and program management experience, most recently spending two years in Alice Springs working in Aboriginal organisations and in remote areas developing programs in that region. Everyone will have a chance to speak to Allan when he starts contacting organisations regarding the Regional Workshops. But in the meantime, if you would like to yarn with Allan, his direct number in the Adelaide office is (08) 82110402. Desley Thompson, Manager of the NBPU TIS was in Tennant Creek and Alice Springs last week and also undertook a quick visit to Broken Hill this week. All visits were very successful with each organisation now having a better understanding of the NBPU TIS. Final consultations will take place of the next few weeks. Please also note that everyone who has lodged their Action Plans should have also received an acknowledgement of receipt from Desley. Please advise the office if you havenâ€™t received this email. Over the last few days, all grant recipients would have received a couple of emails from the Cultural and Indigenous Research Centre Australia (Circa). The first one (dated 29th March) was in regards to the proposed TIS Performance Indicators and the second (dated 31st March) was regarding the proposed Monitoring and Evaluation Framework. Both of these documents were developed in consultation with the Department of Health, members of the TIS Evaluation Advisory Group, a number of TIS grant recipients, and the National Best Practice Unit for Tackling Indigenous Smoking (NBPU TIS). Circa is now seeking feedback on both documents from grant recipients. As you may know, all organisations that receive the TIS funding will need to report on the performance indicators in the final Action Plan and IAHP funding progress reporting. These national performance indicators will also provide information to the overall TIS program evaluation that goes to the June 2018. Can you collect data on all of the proposed indicators? If not, please explain the issues. Which indicators do you think are more useful/relevant for your TIS program? Evaluation strategy table (pages 20-28): Any data sources that could be added? Any that are not possible to collect?